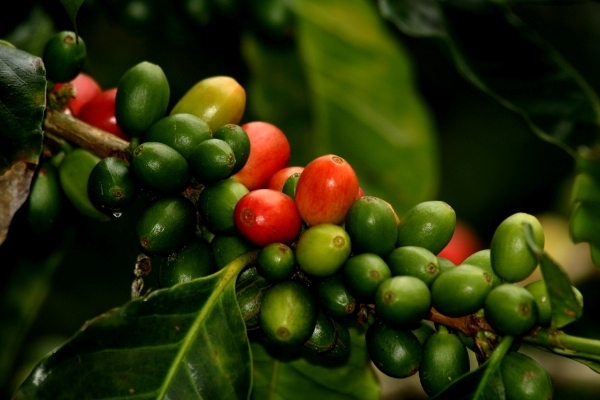 Coffee grown in the Cerulean Warbler Bird Reserve, is certified by Rainforest Alliance, in the category “Specialty Coffee.” This shade grown coffee helps native forests in the conservation of birds and wildlife by not destroying their natural habitat. 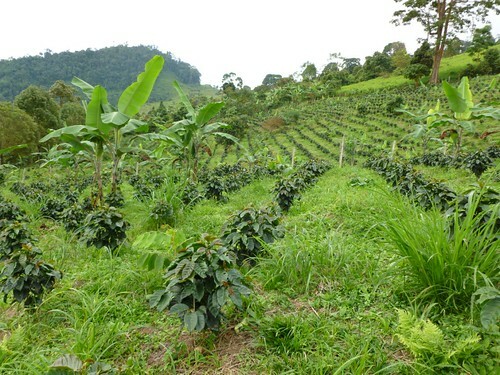 The seal of the green frog by “Rainforest Alliance” ensures that products and services are produced in a socially, economically and environmentally sustainable way. 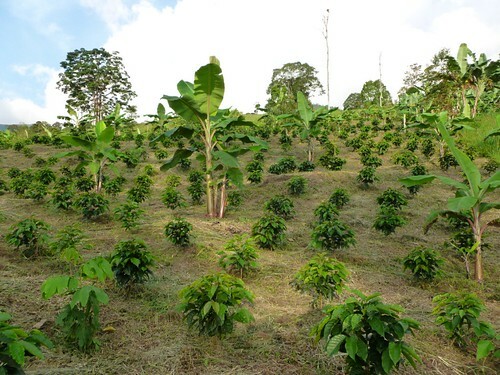 These coffee plantations, with elevations ranging from 1400 – 1700 meters, provide habitat for the Cerulean Warbler (Dendroica cerulea), when it arrives via its winter migration from Northern America to the forests of the central mountains of the country. 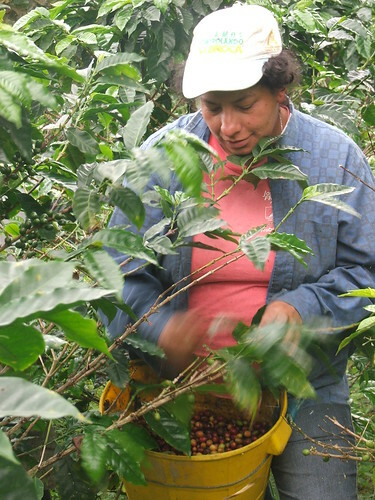 The way in which the cultivation of coffee is developed has a direct impact on the biodiversity of tropical forests, many of which have been drastically reduced for large-scale agricultural development. 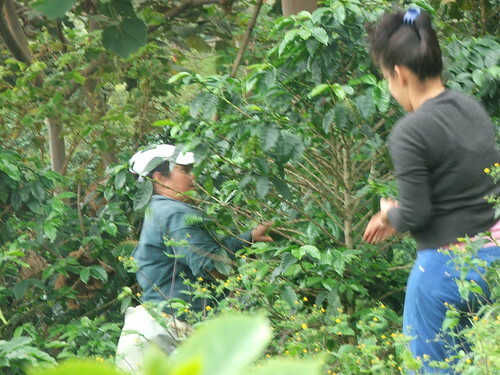 When the coffee is grown under the sun it grows more rapidly, but its growth depends on the use of pesticides, fertilizers and agrochemicals, impoverishing the soil, killing wildlife and contaminating local water sources. 1. Welcoming many species of insects, amphibians, reptiles, mammals and resident and migratory birds increases not only the variety of food (pollen, seeds, fruits, nectar and insects), but the habitat for wildlife. 2. Pollination increases proportional to the presence of insects and hence more fruit per plant. 3. 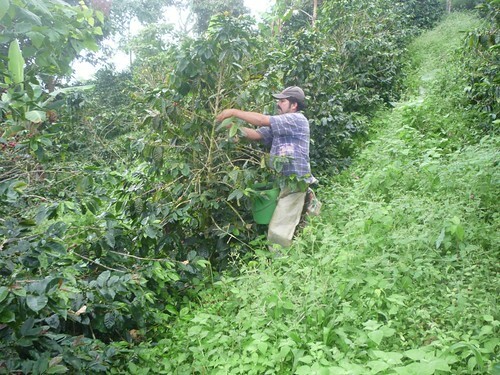 The soil is provided with nutrients and moisture necessary for growing coffee, avoiding the use of agrochemicals, allowing the grain to ripen slowly, increasing the content of sugars and proteins that result in better quality bean (aroma, flavor, acidity and body) and value. 4. 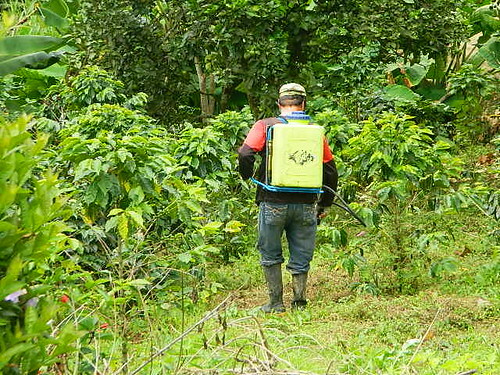 At the same time the crop is less threatened by disease, due to the presence of insect pest controllers. 6. 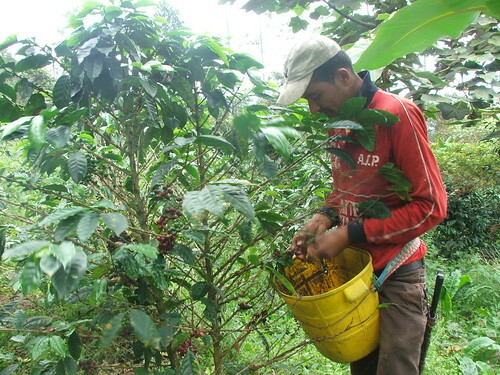 Even further potential benefits such as timber, medicinal plants and agricultural products such as platanos, bananas, oranges, lemons, tangerines, cassava, corn, guava, papaya and avocado among others, providing a new economic incentive for coffee families. 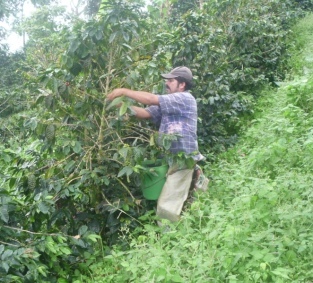 The Production of Cerulean Warbler Coffee, from start to finish. 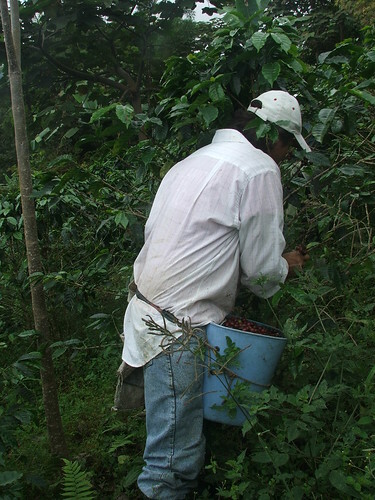 Cerulean Warbler Coffee is a specialty product with a strange history, which requires several appropriate culture conditions, management and bean processing that require great dedication. The following explains the respective processes, from seed germination until toasting. 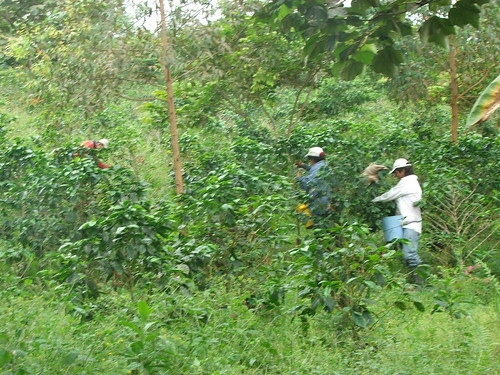 The first production of Café Reinita Cerúlea (Cerulean Warbler) took years of dedication to the care of the plantation, more than 30 jobs were generated for local people, many of which replicate the methods of cultivation and the establishment of shade as well as admiration for the birds. 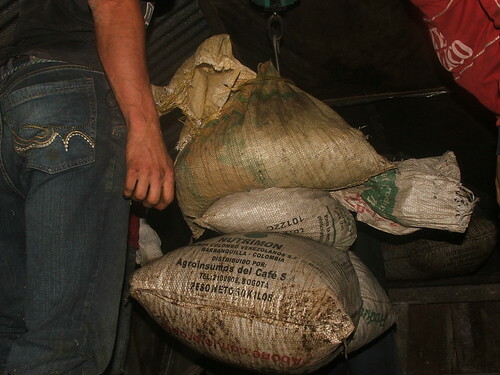 Germination: every crop begins with the germination of seeds (selected beans), which are covered with soil for 8 weeks or so, meanwhile the soil is prepared with organic fertilizers and the bags are filled, the development of the roots take 15 days and then the first leaves appear, the seedlings are selected again to be transplanted to the nursery in bags. Sowing: for 6 months the seedlings are nurtured and watered carefully until the growing point reaches a height of 60 cm, the ground chosen is protected by shade trees of various strata and kept clear of weeds and is prepared for putting holes in and for planting the seedlings, depending on many factors like climate, weed management and the fertilizing of the plants in 18 months the first flowers appear and pollination does its job. 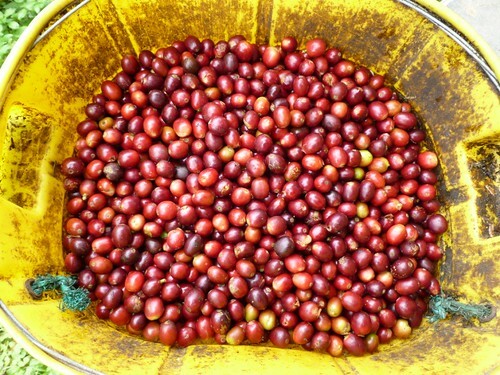 Harvest: it takes almost a year to ripen the fruit; the deep red ones are harvested manually and then washed. Pulping: Pulp release (shell) of the grain, can be performed manually or with a pulping machine. Fermentation: the grains are left in water for 18 to 24 hours for the mucilage or viscous layer to break down and then it is rinsed again. 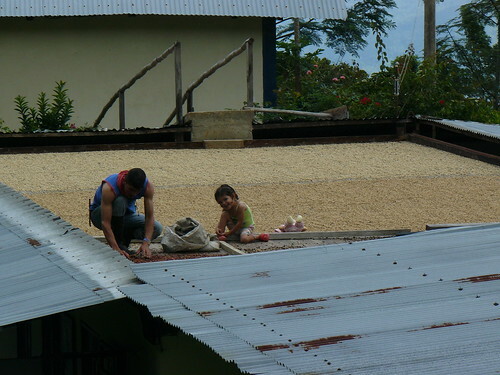 Drying of the coffee beans. 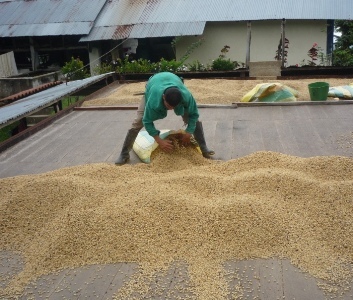 Drying: is done on the Elbe where the sun dries the grains slowly and is called parchment coffee; in these conditions it can be marketed. 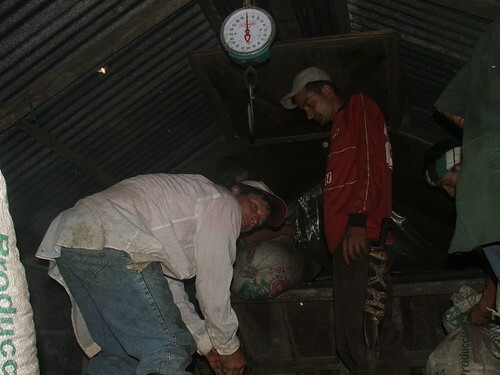 Threshing: through a threshing machine the parchment is separated and we see the coffee almond or green, which again is selected for roasting. 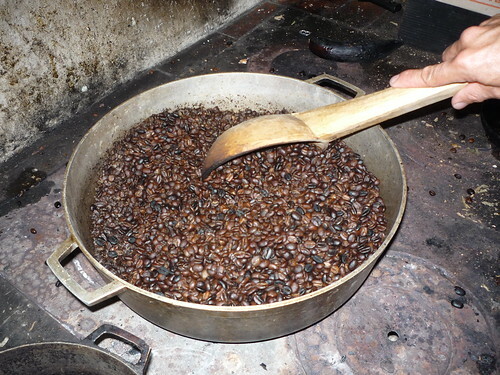 Toasting: this process is key to ensuring a good aroma, flavor and color. When it is roasted the grain size increases to nearly double, changing its color from a light yellow to a dark, oily brown, a medium roast is the need to highlight the entire chain for packaging. 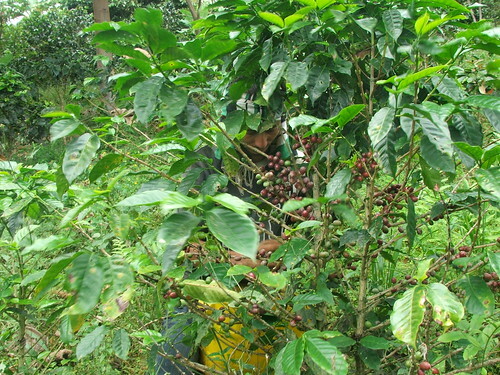 “Certificated for the second year with the seal “Specialty Coffee” Rainforest Alliance, this certificate is granted to all those coffee trees that are sustainable. 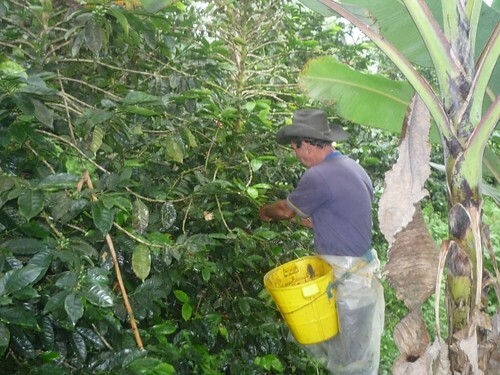 The Cerulean Warbler (Reinita Cerúlea) Café has adequate management with fertilizers and also has shade (reforestation with native trees) of approximately 150 trees per lot cultivated. 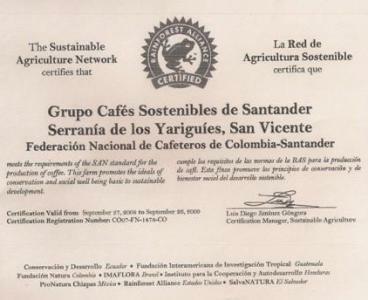 This certificate allows us to position ourselves nationally and internationally and opens the door for better prices in the market, giving us an image of sustainability and community-level recognition by management of a production program and for the natural processes of conservation and coexistence with nature also provides us with incentives which help to mitigate some costs for the management of the Cerulean Warbler Bird Reserve and Fundación ProAves. 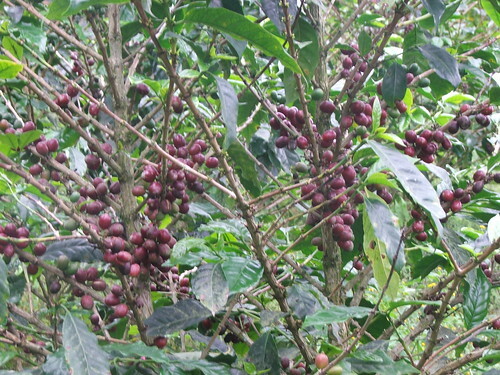 New video: Shade grown coffee – its for the birds! 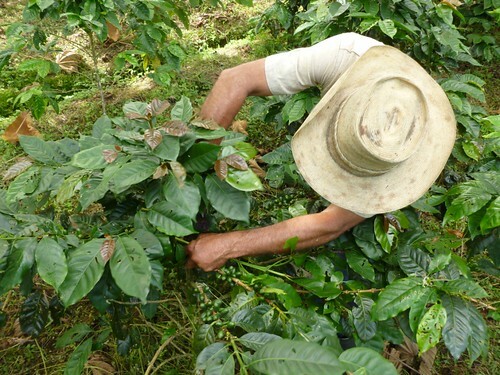 Se ha preguntado ¿de dónde viene el café que toma? 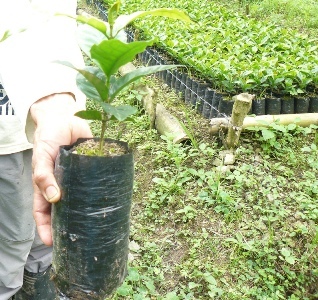 Los bosques tropicales cuentan con la mayor diversidad del mundo y el café que usted consume tiene un fuerte impacto en estos ecosistemas, pero lo que beba y como lo pida puede ser la clave para encontrar una solución. Video producido por Trust for Wildlife y ProAves. 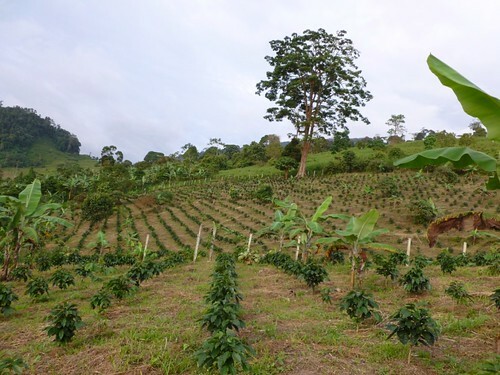 Coffee produced by ProAves at the Cerulean Warbler Bird Reserve has been Rainforest Alliance certified by the “Sustainable coffee group of Santander”. 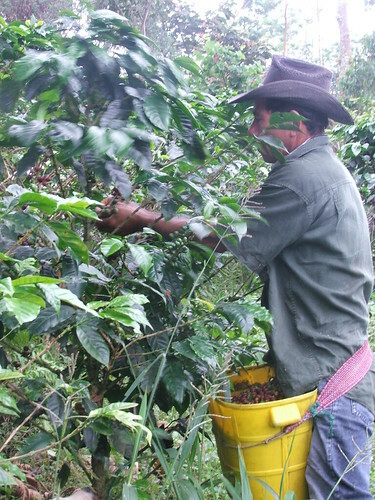 Interested to buy our quality, certified coffee and help save the Cerulean Warbler? Read more.